Would you wear the world's first wearable 4G live streaming camera? 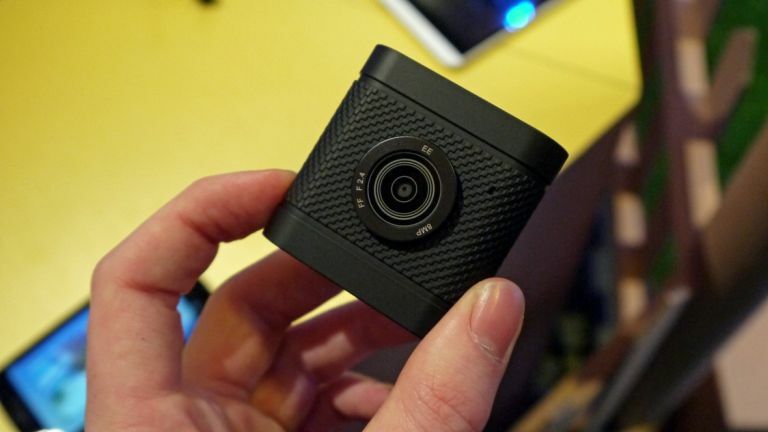 It's called the 4GEE Capture Cam, it looks like the Instagram logo and it's claiming a "world's first" title - but will anyone actually wear this wearable camera? The 4GEE Capture Cam is a cutesy 4G live streaming action camera, the second from mobile network EE, offering casual users an easy way to share moments with friends and family. It links up to an app on your phone, which is available on both iOS and Android, and allows you to record full HD video, take 8MP snaps and live stream 720p video over 4G in real time. You don't need to have your phone on you to use the Capture Cam though, with controls located on the top of the camera and a 4G SIM card inside it allowing you to stream footage in real time. The live stream can be shared with friends and family via text, who can then watch what you're getting up to in real time through private sharing service Skeegle. The Capture Cam comes with a handy clip built into the rear of its black rubberised body, allowing you to easily attach it to your clothes, bag or other belongings. EE also includes an additional connection, which allows the camera to be attached to any GoPro mounts. The 4GEE Capture Cam will be out in time for Christmas, although we're still waiting on a firm release date and price. EE has had it will be cheaper than its rugged Action Cam however.